Ebola spreads to more cities in Congo – Royal Times of Nigeria. 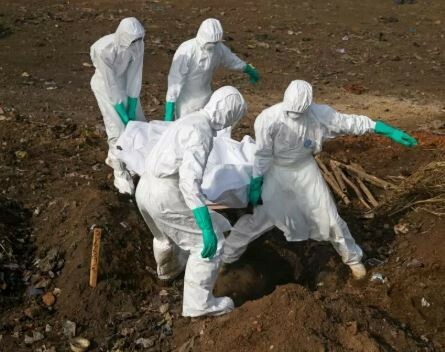 Congo’s health minister says Ebola has spread to more cities including the capital of Equateur province. Health Minister Oly Ilunga said two suspected cases of the hemorrhagic fever were reported in the Wangata health zones, which includes Mbandaka city, about 150 kilometers (93 miles) from Bikoro, the rural area where the outbreak began. Ilunga said Congo now is entering an urban phase of the outbreak, with higher spread potential. He said epidemiologists are working to identify additional contacts to the 500 already identified.